Each year, Foreign Policy magazine identifies the top 100 Leading Global Thinkers who shaped the world in the past year. In some cases, there's more than one person to an entry, so this year's list names a total of 131 people. 2014 is the sixth year that the annual leading thinkers list has been released. In 2014, remarkable individuals smashed the world as we know it – for better and for worse. While some left horrific wreckage in their wake, others showed that a better future demands tearing down foundations and building something entirely new. The following top 7 global moguls, all taken from FP's top 100 list, presents the visionaries of the business world, people who are looking for a new product that will make billions of dollars, or a new way of delivering goods and services that will change the face of a sector. From Russia to China, Saudi Arabia to India, these Global Thinkers are doing anything but business as usual. Notable facts: Flatley was recruited by Illumina after selling his company, Molecular Dynamics, which develops products that aid genetic research, for $300 million. 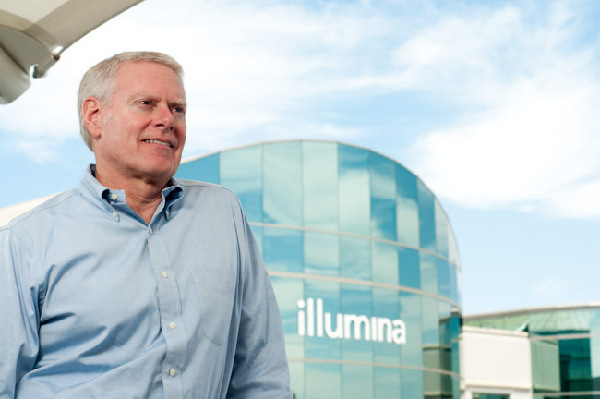 Under Flatley's leadership, which began in 1999, Illumina has grown to claim about 80 percent of market share. DNA sequencing for all is a goal close to the CEO's heart. "We believe that someday everybody's going to get sequenced," Flatley said in a 2013 interview with a San Diego newspaper. Significantly lowering the price of sequencing places that goal within reach. According to FP, in January, Jay Flatley's Illumina, the world leader in genetic-sequencing technology, unveiled a system that will sequence a human genome for less than $1,000, making a process that has typically cost around $10,000 far more affordable. Illumina's new device, the HiSeq X Ten, completes sequences faster and more accurately than previous designs. It sells for about $10 million and could be a game-changer, allowing doctors new insights into diseases even before symptoms start. The top 7 global moguls, based on FP's top 100 list, is a sub-list presenting the visionaries of the business world.